Heat oven to 350°F. Spray 8-inch square (2-quart) baking dish with cooking spray. In medium bowl, mix 1 jar (16 oz) Alfredo pasta sauce and 1 cup shredded Italian cheese blend (4 oz). Have ready 2 bunches (2 lb) fresh asparagus spears, woody ends removed. 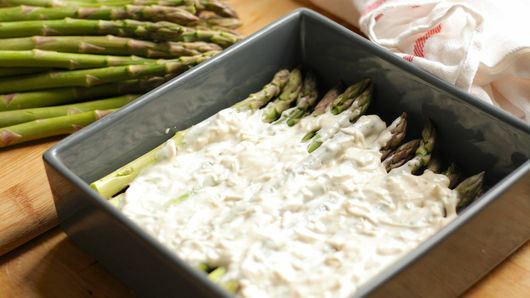 In baking dish, place one-third of the asparagus spears in single layer, and top with one-third of the sauce mixture; repeat twice to use up. 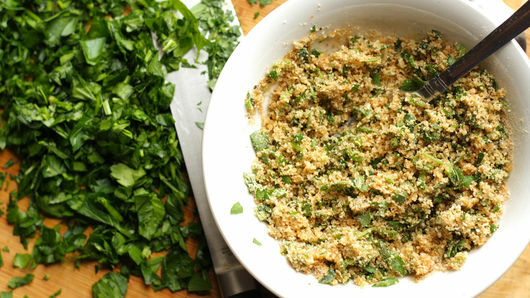 In small bowl, mix 1/2 cup Progresso™ plain bread crumbs, 1/4 cup chopped fresh parsley leaves, 2 tablespoons olive oil, and salt and pepper to taste. Sprinkle over top of asparagus. Cover; bake about 25 minutes or until sauce is bubbling. 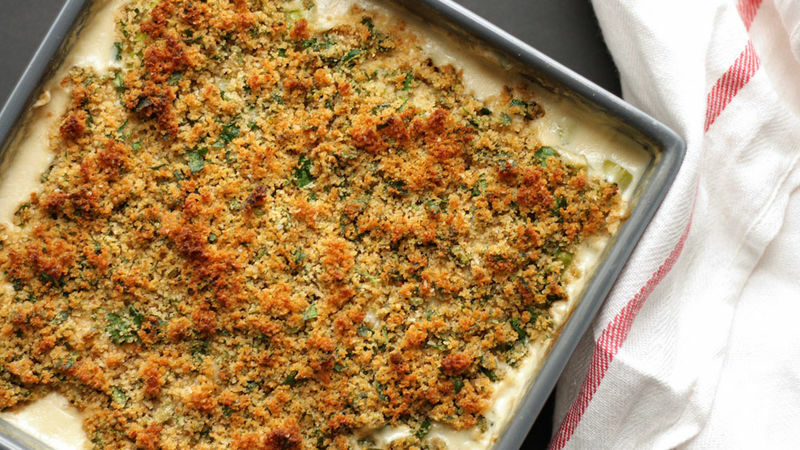 Uncover; increase oven temperature to 450°F, and bake about 10 minutes longer or until bread crumbs are golden. Add a squeeze of lemon juice before serving to add a nice brightness to the vegetables.